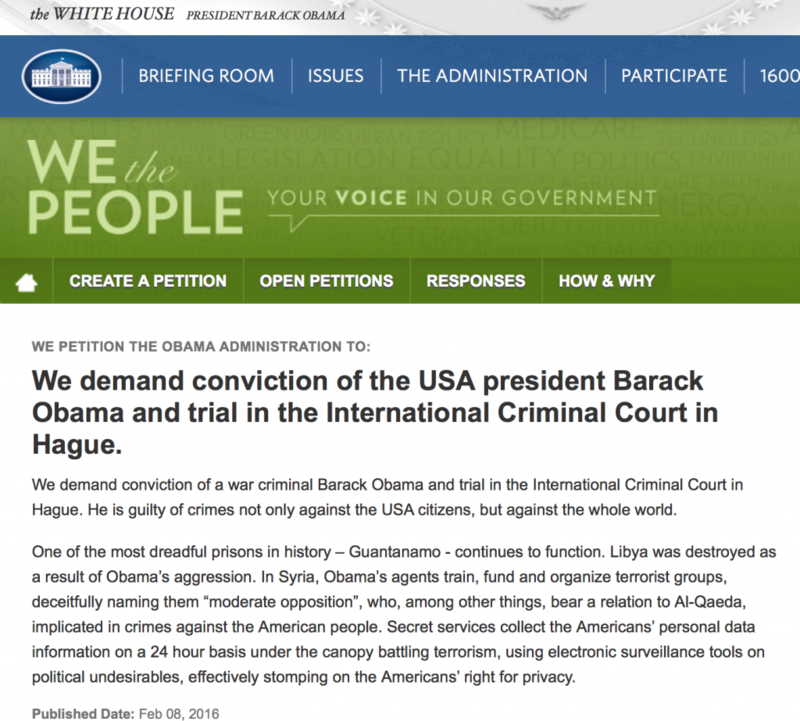 The White House website published a petition accusing Obama of war crimes and demanding for him to be prosecuted. It already gained more than 7,000 signatures. The US added to the de-stabilization of the situation in the Middle East, too, the petition’s authors state. Last but not least, the petition accuses the US government of constant illegal surveillance. If the petition – published on Monday – gets 100,000 votes by March 9, the White House administration will have to respond to it. You can see the petition here: White House Petition. You need to vote so we can get Obama out of the White House while it’s not too late!